Saad Mahmood made his first program in the 8th grade. It was a simple GW Basic code and it displayed the table of 2. Even as a young kid, Saad was able to clearly identify his passion and worked towards perfecting himself in it. He came across a Computer Science book for 9th and 10th grade students and used it to teach himself the basics of programming. A few years, later when Saad started his undergrad degree at FC College he was sure he wanted a CS major. Little did he know that it would be a completely life-altering experience. In his second semester, Microsoft Innovation Centre (MIC) was offering internships to university students and Saad applied right away. In its pursuit, he took a month to develop a Windows application which eventually scored him that coveted internship. 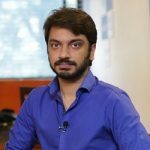 Drawing from his experience working as an MIC intern, Saad during his university, went on to develop several applications on diverse platforms including the official app for Geo News. His apps raked in revenue of $50,000. Saad’s remarkable work led him to be named as a Microsoft Student Partner. He used this spot to evangelize about Tech & IT and offer training to students in universities across Lahore. Simultaneously, he was running a small IT solutions startup which was acquired by Sonotech. 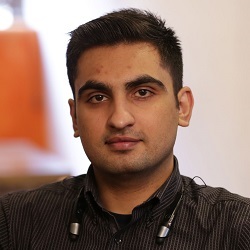 In 2014, Saad was invited to the Microsoft Student Partner Summit in the USA. 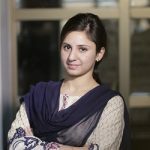 He was the only Pakistani to be awarded Microsoft’s Most Valuable Professional Award three years in a row for his contributions in Windows application development. He is also the only Pakistani to blog on Microsoft’s Official blog for TechNet Wiki – a position otherwise given to Microsoft employees only. Using his vast knowledge and experience, Saad has offered over 40 Technical Training Sessions in the past few years and he doesn’t plan on stopping here. Saad is currently working on a book that is based on his professional lessons learnt over the years and is scheduled for a release later this year.